Last week I was walking down Park Street when I spotted Motel’s sale window, and I couldn’t resist popping in for a quick look. 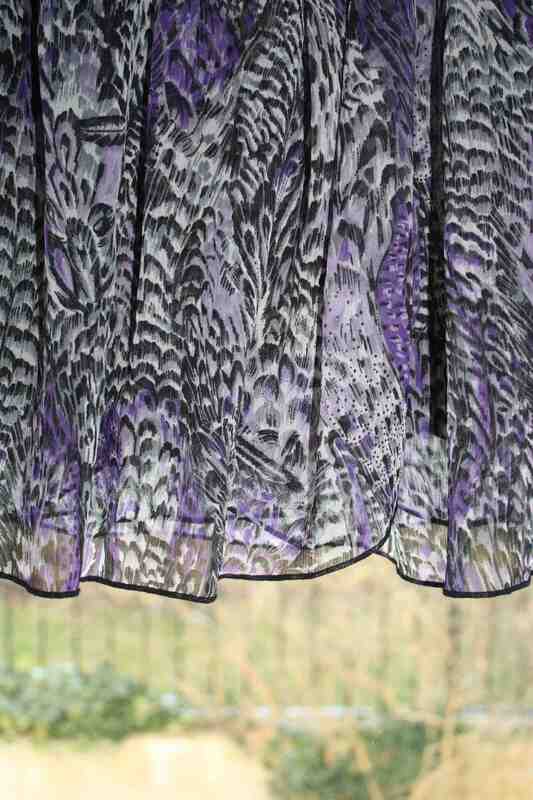 I’m pleased I did, because I found their £5 vintage sale rail and fell for this dress, above. As it was ‘£5 each or 2 for £7’ I thought it would be rude not to try on a few more vintage pieces, and didn’t find it hard to find another dress to take home. I’ve been a huge Motel fan since I moved to Bristol for university seven years ago. Back then Motel’s shop on Park Street was called DNA and was the same brand, just a different name. At the start of every term, when my student loan got a top-up, I’d treat myself to a haircut from Toni & Guy and a dress or top from Motel. I loved the printed, loose tops and wore them until they were literally falling to pieces. Now Motel’s body-con prints are stocked in Topshops up and down the country, and the Park Street shop has shifted its focus to vintage and upcycled garments. After I found these dresses I took them home to photograph, but my usual way of shooting in front of my huge windows just didn’t do them justice. And, since the weather was so glorious at the weekend, I thought it would be rude not to photograph them in the sunshine! So, here are a few snaps of me in the garden, kindly taken by Mr Ship-Shape, who, despite a few initial protests, quite fancies him self as a bit of a David Bailey. I’m still quite new to being in front of the camera, so you’ll have to ignore my head tilts and hair covering my face, and instead focus on how gorgeous these dresses are! I love the floral print and cut of the first dress, and although the peach and white stripped dress (an old M&S number) is a bit large, it should be easy enough to take in at the sides for a better fit. Check out the blue sky - no Photoshoping required! Magazine culling. 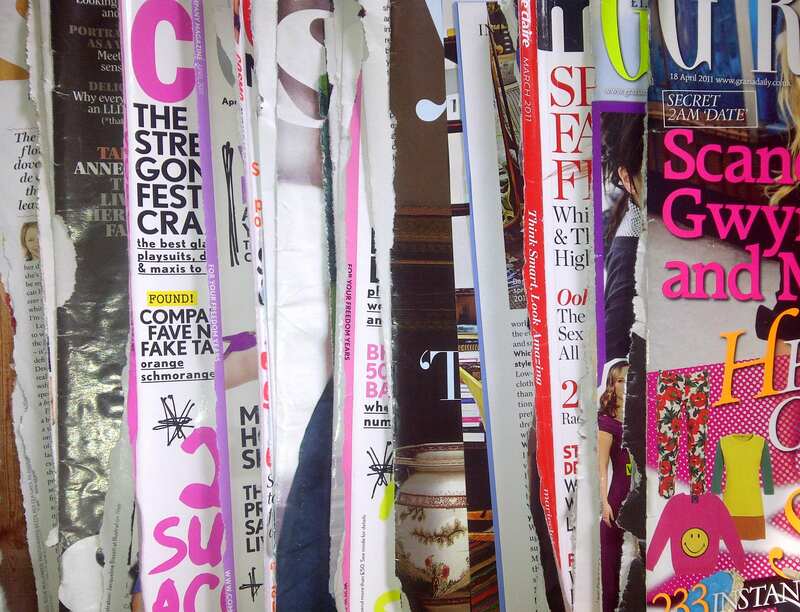 I’ve written before about my love of magazines – not just fashion but food, photography, even the GQ (male) shoes supplement – if I like the cover, I’ll read it. I’ve been doing a bit of spring cleaning though, and this weekend turned my attention to my ridiculous pile of magazines. Plonking almost half my collection in the recycling box wasn’t easy, but it did mean I got to spend a good few hours reading old copies of ELLE, Grazia, Company etc and ripped out a few must-keep features and fashion spreads. Daylight. Even before Bristol enjoyed a glorious weekend of sunshine and blue skies, I was ready to chat away about how awesome it is now that the slightly lighter evenings have arrived. Spring is almost here and not long after that comes pub gardens, afternoons in the park and bare legs – hurrah! Six Items. This week I blogged about the Six Item Challenge, a campaign to highlight the effects of fast fashion through challenging fashionistas to wear just six items of clothing for the duration of Lent. To find out more and see how the participants are coping, visit their blog. Another ethical fashion post, not from me but the talented Roz, of Clothes, Cameras & Coffee., who discusses the merits of eco-friendly red carpet outfits, and her experience of the Fru-Gal Challenge – another way of confronting our increasing reliance on fast fashion and cheap clothing. And finally… pancakes! Every Pancake Day ends with me lamenting that we really should try to eat pancakes more than once a year, because they are awesome. Every year, 12 months go by before I make another batch of pancakes. There’s no photo of my creations (served with the classic topping of sugar and lemon juice) because I was too busy eating them! Raise your hand in the air if you’ve been on a cheeky shopping trip this week. Yep, me too. I love fashion and the thrill of finding a bargain on the high street, not to mention the speed with which catwalk trends appear on the rails at Topshop, H&M and Primark. 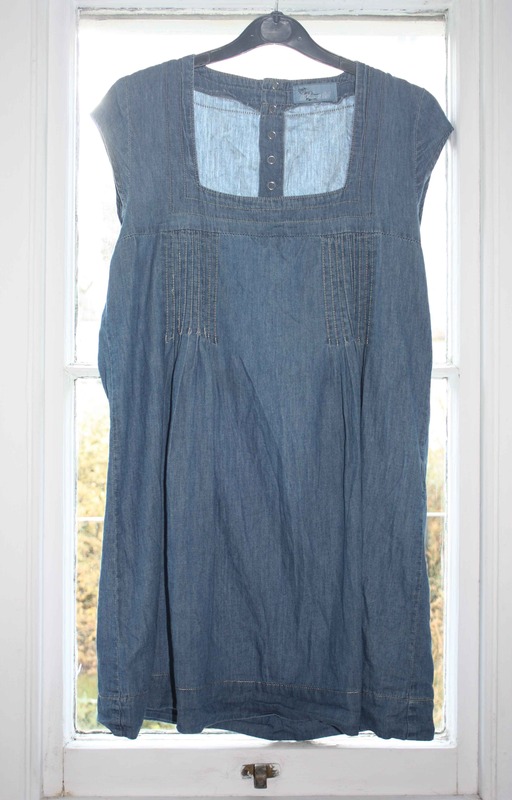 A replica Marc Jacobs dress for £13? Yes please! A different outfit every day for a month? No problem. My wardrobe is bursting at the seams and I have clothes on every available surface of my bedroom, yet I can never find anything to wear in the morning. If this sounds familiar, imagine what life would be like if you had only six items to choose from. The ‘Six Items Challenge’ began this week, coinciding with the end of London Fashion Week and the start of Lent, and sees participants shrinking down their wardrobes to just six pieces for 40 days, in a bid to highlight our increasing reliance on fast fashion – and the sweatshops that help make our fashion whims a reality. Organised by Labour Behind The Label, who work to support and fight for the rights of overseas garment workers, this campaign aims to highlight the unseen perils of our ‘throwaway fashion’ shopping habits. Ship-Shape met LBTL last year to find out more about their work, and the benefits of clothes swaps and buying secondhand, so it was great to find out about this fantastic and challenging campaign. You can read the rules here, but in a nutshell, participants are encouraged to ‘re-engage with creating clothing identities with less’ by relying on just six items of clothing for 30 days (after this week’s initial Lent launch), which doesn’t include underwear, accessories or performance-related gear, such as work uniforms or gym outfits. The team will be on the lookout for 10 new participants every couple of months, and hope to raise awareness and donations through sponsorship and documenting the process on their blog. While I’m not sure I could cope with only relying on six items of clothes for a whole month (not least because I am constantly spilling food over myself) I think this is an incredible idea and I hope you do to. Could you survive with only six wardrobe staples? What would you choose and do you think this would change your shopping habits? Let me know by commenting below. I’ve spent the last couple of weeks spring cleaning my flat, de-cluttering and generally trying to be a bit more tidy, which is harder than it sounds when you have as much stuff as I do! Books, cameras, clothes, shoes – half of which I rarely read/use/wear but can’t bear to part with – find their way into every corner of my life. I love rummaging in vintage shops, charity shops and jumble sales, and my finds are often shoehorned into wardrobes, drawers and bookshelves – if there is an empty space, I will fill it. With (almost) anything. 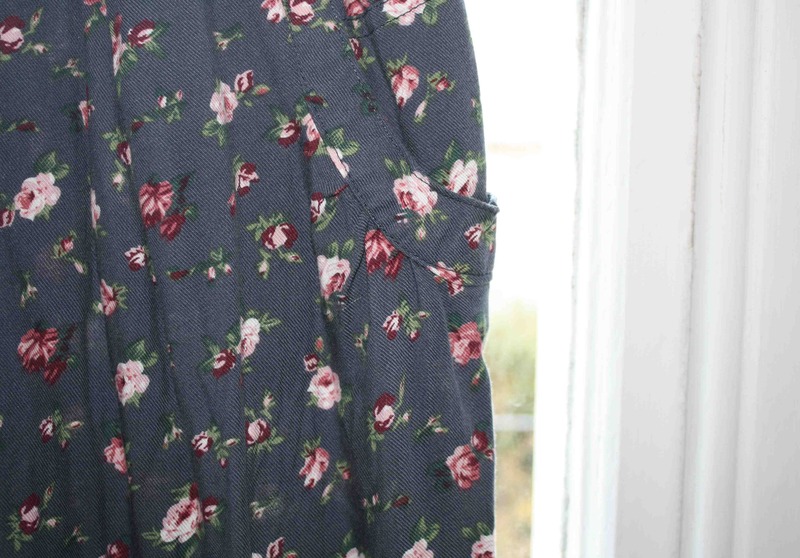 My recent spring clean, particularly that of my clothes, has been very therapeutic (my bursting-at-the-seams wardrobe is certainly grateful to have lost a little weight) but it has also been very emotional. 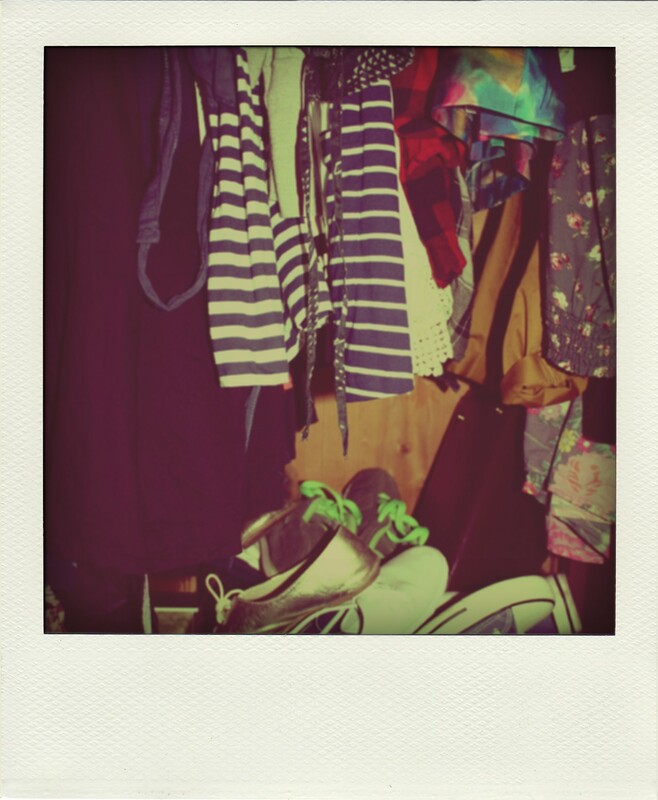 This may sound strange, but I think there is more significance lurking in your wardrobe than you’d think. I’m a natural hoarder. In my younger years that meant keeping stickers and envelopes with my name on, now it’s magazines, clothes and accessories. As I was sorting my unwanted clothes into piles last night (for charity, recycling and selling) I encountered many flashbacks in amongst the belts, shoes and dresses. There was my first wide, waist cinching belt that came free with a magazine about seven years ago, a polka dot tea dress from Primark that I went on to buy in every available colour during my second year of uni, when Primark was split over two dodgy, dimly-lit shops in Broadmead (now Poundland and part of Cabot Circus) and the shoes I wore on my 21st birthday. 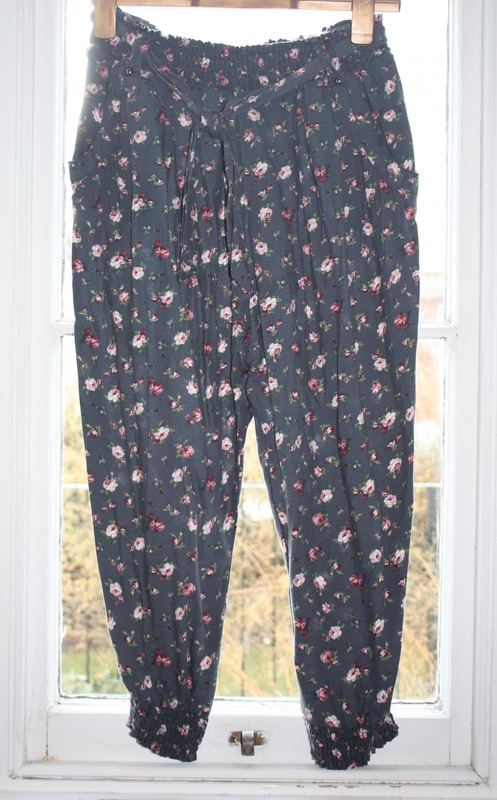 There are also pieces I’ve clung on to for sentimental reasons; gifts from my mum, vintage belts and dresses from my nan, clothes I have grown out of, or that are now too big for me since I lost weight. I’ve kept these items not because I wear them even occasionally, but because they hold a significance that I attach to most of my material possessions. You must have a song, book, or outfit that transports you back to a particular day or period of time. I believe our clothes have the ability to capture a moment, like a photograph, and suspend it until you decide the time has come to move on. So far I’ve given three huge bags of clothes to local charity shops, kept some back for a future clothes swap, and put worn clothes into the recycling box. I can’t say giving away memories, disguised cunningly as clothes, has been easy, but it does feel good de-cluttering my life and knowing than someone else is going to get enjoyment from things I never wear anymore. Burberry-Prorsum A/W12 - want, want, want! LFW coverage. I couldn’t make it to London and although I’m gutted I missed out on the buzz of shows, style-spotting and Somerset House, I’ve had countless sources of info to ensure I haven’t missed out. 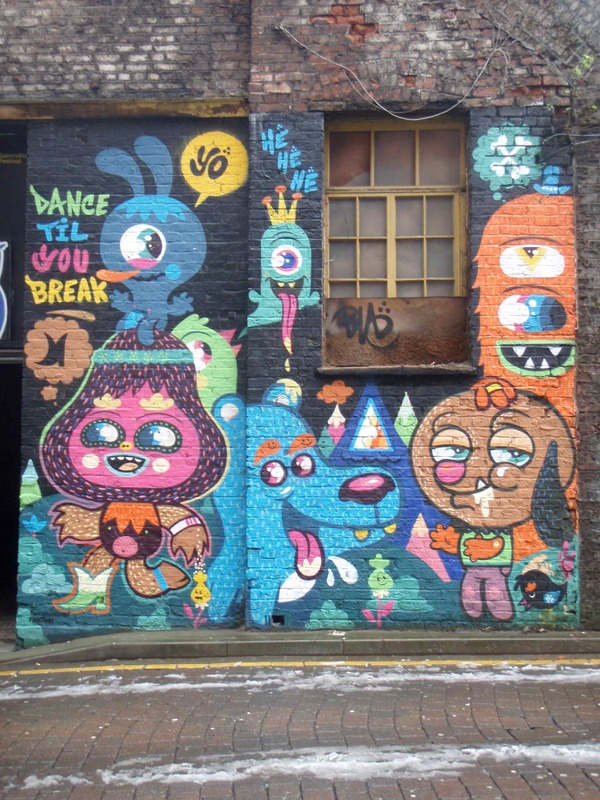 Namely The LFW Daily, jewellery designer Fred Butler’s blog and the fab Disneyrollergirl. Stickified Goo Goo. 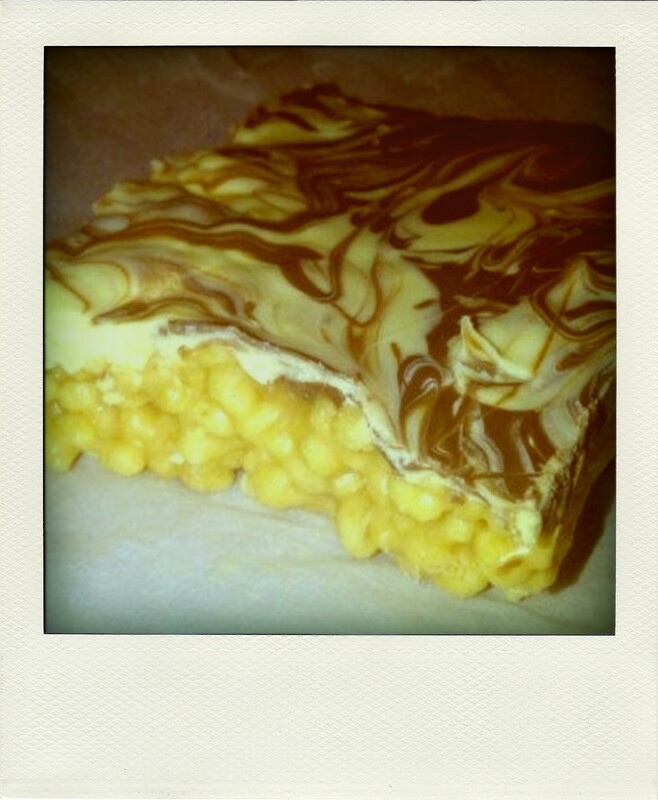 I’ve mentioned this Rice Krispies delight on the blog before, and I made some again as an alternative birthday cake for a friend. Making it was a bit of a disaster but my friend was chuffed to bits, hurrah! Latin American delights. Going out to Las Iguanas for a friend’s birthday meal was awesome, and not just because we took full advantage of the 2-4-1 offer on cocktails! I got to see friends from uni that I haven’t seen in yonks, plus I discovered the best venue in Bristol for sweet potato fries*, which beats my pathetic attempts in the kitchen, hands down. Longest ever run. On Tuesday I took part in Sweaty Betty’s Get Fit For Free event up on the Downs and ran just under eight miles – my longest run so far. The Bath Half is only a few weeks away now, so every mile (or almost mile) counts! 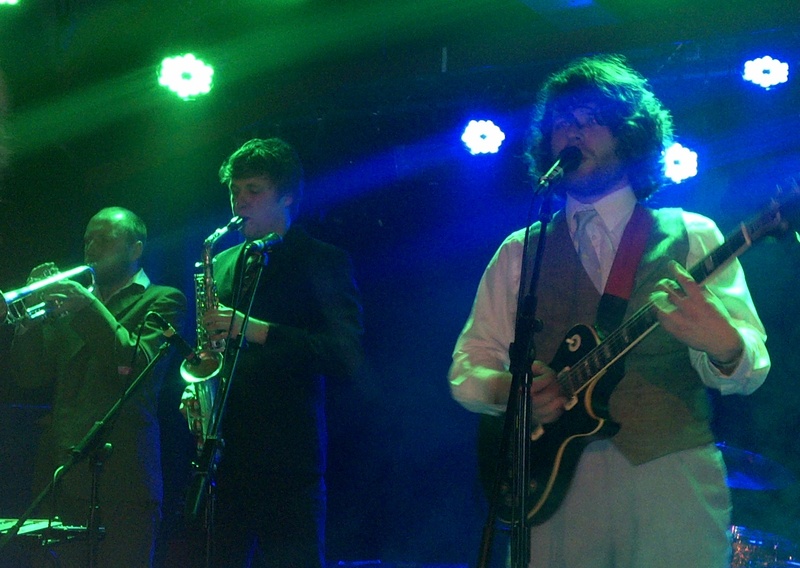 *but if you know a better venue then fess up! Eleanor Hardwick. Super talented teen photographer who I fell in love with when I saw her work at a Here Gallery exhibition a few years ago. I was a student at the time and parting with £80 (or around that sum) for a photograph wasn’t even remotely an option. Now Hardwick’s images sell for around £300, even further out of my league, despite being a grown-up with a wage. Calling Germany. One of my bridesmaids moved to Berlin last year to follow her growing career as a freelance journalist. She reports on everything from the economy to the unrest in Syria – a world away from what I write about! It’s been ages since we spoke but on Monday we had a proper catch-up over the phone, which was lovely. New blogs. Since getting back into the blogging game I’ve stumbled across so many fab blogs, including Elycia and Almost Delightful – both of which have gone straight to the top of my Bloglovin‘ list. Early V Day dinner. Mr Ship-Shape and I don’t really do anything for Valentine’s Day, but we do always make a point of cooking a meal and eating it together. This is probably what happens for most of you every night, but our kitchen is so small, and our tastes so varied, that we choose to cook separately most of the time. As he is away for work next week, we decided to make Friday our cooking date, making Jamie Oliver’s epic Happy Fish Pie from his latest cookbook. Words can only begin to express how flipping tasty it was, so here are a couple of photos to demonstrate. Poladroid. Turns regular photos into a digital version of a Polaroid. Since Impossible Project film is really expensive and a bit hit and miss with it’s exposure times, this app is perfect for a instant photography fan like me. It’s another gem that I learned about by reading Almost Delightful. 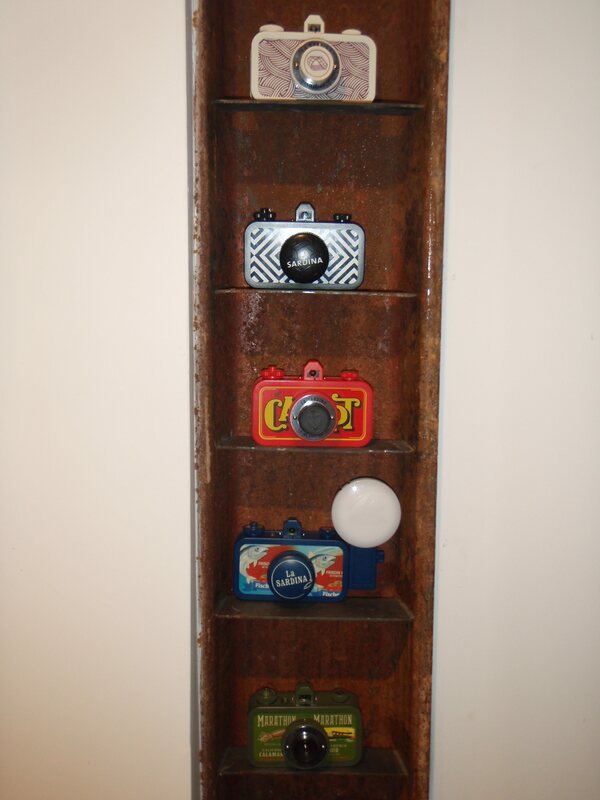 One man’s junk is another man’s treasure – an excellent way to sum up charity shops, flea markets, and vintage boutiques – and those unwanted gems can now be found on Stokes Croft. Treasure has replaced Jacksons Autos (a shop that always baffled me a bit, as there were actual full size vans parked inside it’s tiny shop windows) on Stokes Croft. 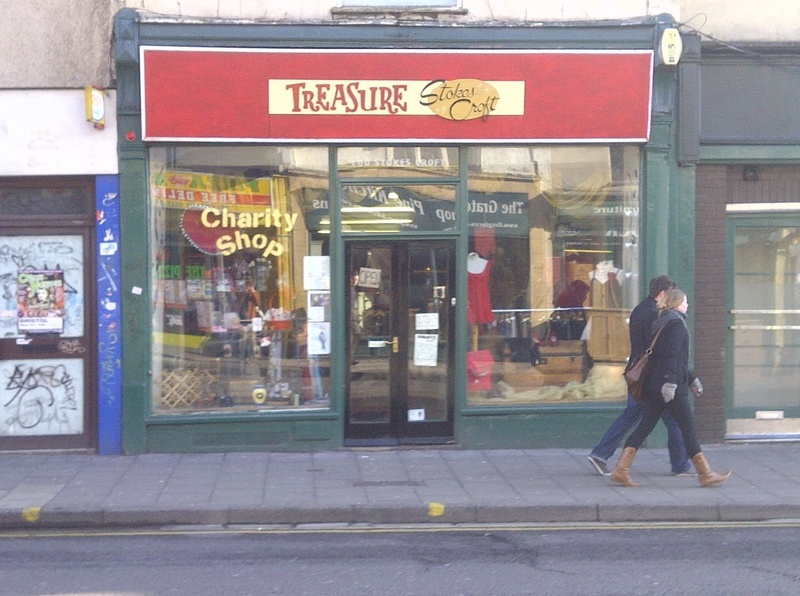 A charity shop set up by LoveBristol, Treasure actually opened last year, a stones throw away on Cheltenham Road. Since mid-December the community charity shop has been calling this bigger, more prominent retail space home. I’ve been to both locations and while I loved the small, even pokey, feel of their last shop, I’m in no doubt that Jackson’s Autos is a great place for Treasure to grow within the community. As with any charity shop there are some great finds to be had, and this is set to increase as more and more locals donate their unwanted clothes, jewellery and accessories to the shop. Unfortunately I had to fall in love with a gilt mirror – part of the shop’s furnishings and therefore not for sale! Money raised will be put into local community projects, so if you are a fan of the hidden gems charity shops have to offer, or have a load of clothes you need to get rid of, pay Treasure a visit and help give back to Stokes Croft. Treasure, 100 Stokes Croft, Bristol. Visit their Facebook page here. Me with my Topshop coat, outside Affleck's Palace, Manchester. 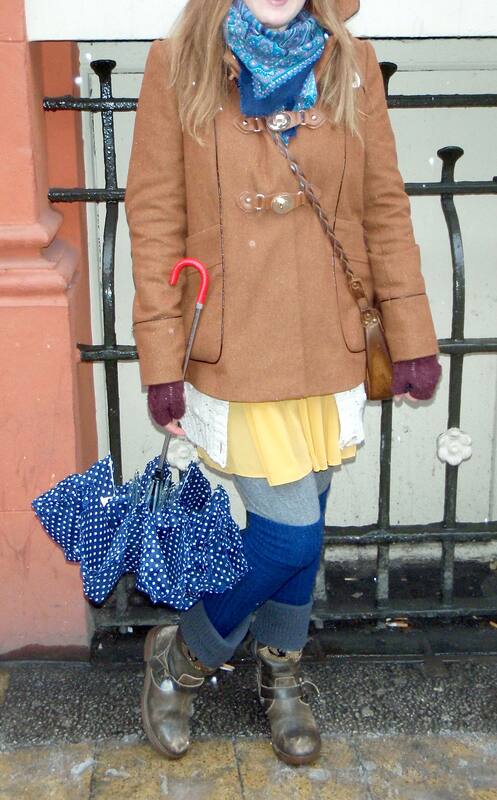 Scarf, vintage, yellow dress, Primark, grey cable knit leggings, clothes swap, blue over the knee socks, Topshop, gery legwarmers, H&M, boots, The Boot Room. So, you can probably tell from this snap, above, that I decided to keep the Topshop coat from my recent shopping spree – and what a wise decision – this cold snap we’re experiencing doesn’t show any sign of leaving soon! 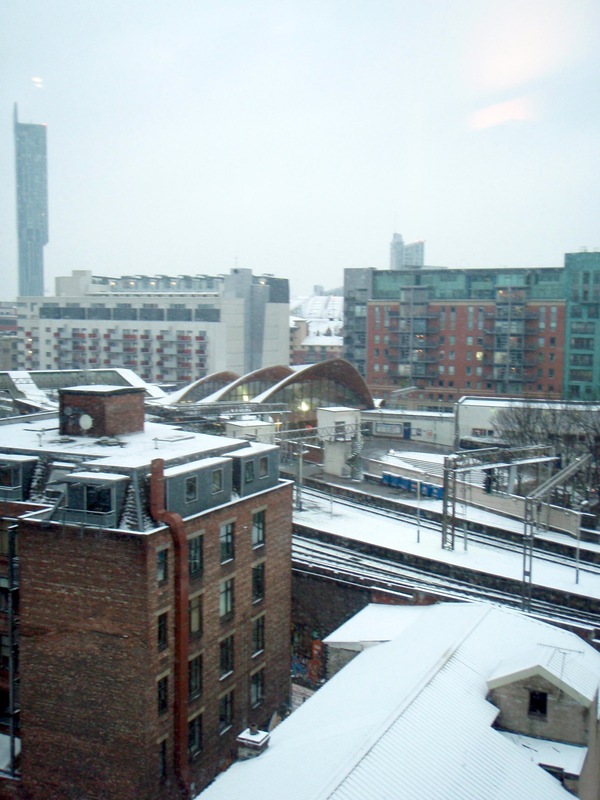 It was even colder in Manchester, my destination of choice last weekend. I’ve only ever been to Manchester once before, years ago, and I was struck by how different everyone dressed, compared to Bristol. Not bad-different, just different. There seemed to be more heels, more make-up but equally more ironic hipster, grungy looks too. This time Mr Ship-Shape and I had to contend with snow and ice (apparently not so much of a problem in Bristol), but on Saturday night there were seasoned locals walking down icey pavements in peep toe heels! I struggled in my biker boots, squealing at the slightest wobble, so I have to respect any woman how can walk through snow in six inch heels and make it look like her own personal catwalk. 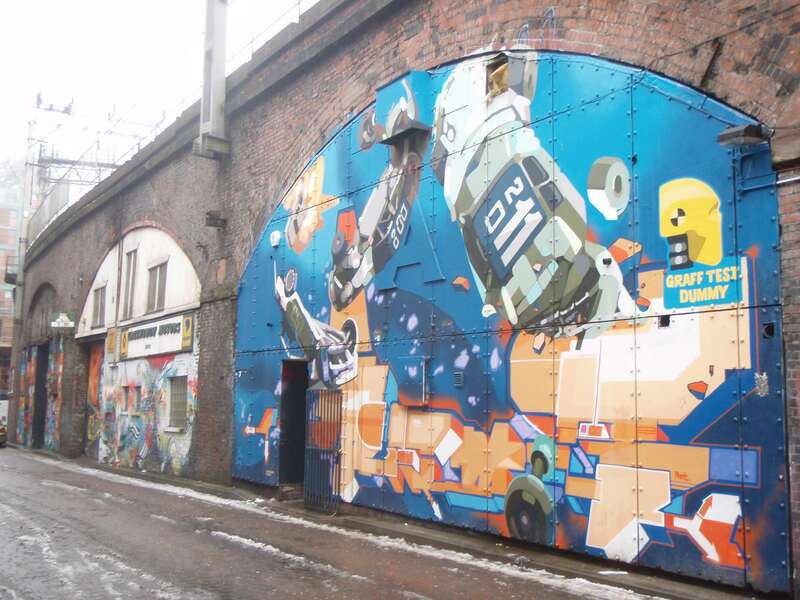 The snow did put a slight dampener, literally, on exploring the city, but I did make it to the Northern Quarter, which was recommended by a friend, and was not disappointed. There were independent shops abound, including a Manchester version of Magma, and my favourite shop – Lomography. I waffled on about the delights of this shop a bit here, but suffice to say it had me dreaming about cameras for the rest of the weekend. I paid a visit to Affleck’s Palace, a multistory marketplace that reminded me a bit of Camden market – the only place to by your clothes when you’re a teen looking for ways to stand out and blend in at the same time. I was drawn to perspex necklaces and retro rotary-dial phones and while I’m probably a littler older than their average customer, I was excited to be in a building that felt like a destination, rather than a soulless shopping centre.